Students from Bangladesh University of Engineering and Technology passed a short-term course in nuclear technology and received certificates of completion. A five-day nuclear technology course was held at Bangladesh University of Engineering and Technology (BUET) on November 5–9. The audience included 70 students from different faculties. Course participants learned about machinery and equipment for nuclear power plants based on VVER-1000 and VVER-1200 reactors, nuclear fuel cycles, and thermal hydraulics of the reactor core. The course was organized by Russia’s National Nuclear Research University (MEPhI) and the BUET Institute of Nuclear Power Engineering (INPE). Three professors from MEPhI taught and supervised the course. On its final day (November 9) the attendees received certificates of completion. 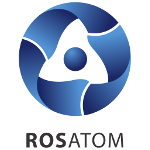 Rosatom also welcomes potential Rooppur NPP employees in Russia, where they are trained to receive the necessary qualifications. On August 15, 2018, Rosatom’s Technical Academy launched a training course in capital construction of nuclear power plants for the Rooppur NPP staff in Obninsk (Kaluga Region, Russia). The course is delivered in accordance with the contract signed on December 22, 2017. The total number of Rooppur employees to be trained under the contract exceeds 1,400 people. Later, Rosatom will build a training center in Bangladesh for continuing education and certification of Rooppur NPP personnel. The training center will feature a full-scale power unit control room simulator, models of core systems and equipment, and maintenance training facilities.